Waukesha Bankruptcy and Debt Relief Lawyers ... working for you! Copyright © 2019 McAvoy Law Offices LLC. All rights reserved. It's Real Estate Season! Ask us about our "For Sale By Owner" specials! We offer different levels of service depending on your needs, and represent both buyers and sellers in the greater Waukesha area. Whether you are located in Waukesha, Pewaukee, Brookfield, New Berlin, or anywhere in Southeastern Wisconsin, Attorney Brendan McAvoy is here to meet your legal needs. 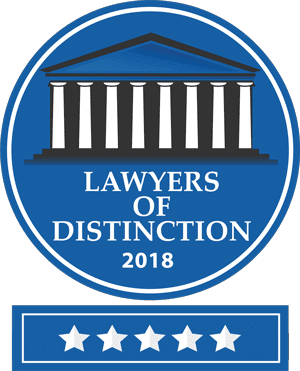 Our firm takes pride in making sure our clients are treated with the dignity and respect they deserve; but you don’t have to take our word for it, read our testimonial page for more info. McAvoy Law Offices: Who needs luck when you have good Irish attorneys? If you or a loved one is experiencing debt problems or a legal issue, call 262-261-0834 today! "While many spend years learning the basics of their chosen profession, until relationship building skill-set is evolved, the capacity to become the best in that profession is diminished. This is where Brendan excels- he truly listens, asks appropriate questions, takes the time to understand the dynamic, and provides valuable feedback." McAvoy Law Offices: More than Waukesha Bankruptcy Lawyers ... let us be your Waukesha Foreclosure Attorneys! Ask about our FREE notary services! Which Debt Relief Option Interests You? We adopt a family centered approach to representation, and we understand the importance of being available during not just the good times but also the bad times. First-time home buyer? Facing foreclosure? Declaring bankruptcy? Looking to draft a will? Landlord-tenant dispute? When an individual is experiencing financially troubling situations, his or her real estate is potentially a prime reason for the financial troubles, or worse, a target of the creditors looking to collect on past-due payments. Are you behind on your mortgage payment? Has the bank already initiated foreclosure proceedings? If you are either behind on your mortgage payment or are expecting to be in the near future: Don’t delay, call McAvoy Law Offices today! The sooner you reach a Waukesha foreclosure attorney to talk over your situation may mean the difference between asserting a legal defense and losing your family home. The foreclosure attorneys at McAvoy Law Offices can work with your lender and the courts to fashion a more affordable payment plan, assist in mediation and HAMP applications, and defend your rights at trial if necessary. If you are dealing with mortgage payments, bank defaults, and legal issues regarding your property, don’t leave the future to chance. We are here to help. Join our mailing list (signup below) for exclusive offers and information from our attorneys! Or stop on by, we are located right off Interstate 94 (appointment preferred). The McAvoy Law Office Blog: "The Lake Country Lawyer: Legal Foundations for your Financial Future"
"Brendan was an absolute pleasure to work with. Every question (there were a lot!) or concerns I've had regarding the case, he was prompt and professional with his answers. I respect the fact that he's an extremely hard worker (he made calls to me on Sundays-when he should be home, enjoying his time with his family). Hence, kept me in the loop & gave me great legal advice. THANK YOU BRENDAN for your services! WHAT TYPE OF LEGAL INTEREST DO YOU HAVE IN YOUR PROPERTY? When debt troubles arise, they usually stem from promising situations or good intentions. Maybe you started a business that went off the rails; maybe you just tried to take advantage of a promotional annual percentage rate on a prestigious credit card; and maybe you just needed one big loan to buy that big purchase, whether that was an engagement ring, new car, or much needed home repair. At McAvoy Law Offices, we understand the emotional toll that financial troubles can have on individuals, families, and businesses. Are you looking at liquidating your debts and starting fresh? Are you determined to pay back some of your financial obligations while guaranteeing that you can keep that brand new car you bought a couple years ago? Or, are you simply wondering what debt relief options exist outside of the nuclear option known as bankruptcy? Whatever your situation may be, let the attorneys at McAvoy Law Offices take the uncertainty and stress out of your financial difficulties. Our bankruptcy lawyers are experienced with these life-changing situations and are ready to put you at peace and back on the track to financial success!